Teeming with chatrooms, online discussion groups, and blogs, the Internet offers previously unimagined opportunities for personal expression and communication. But there�s a dark side to the story. A trail of information fragments about us is forever preserved on the Internet, instantly available in a Google search. A permanent chronicle of our private lives�often of dubious reliability and sometimes totally false�will follow us wherever we go, accessible to friends, strangers, dates, employers, neighbors, relatives, and anyone else who cares to look. 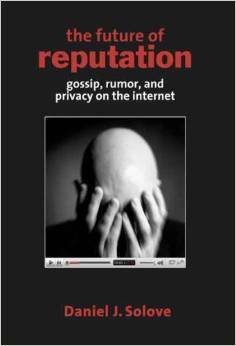 This engrossing book, brimming with amazing examples of gossip, slander, and rumor on the Internet, explores the profound implications of the online collision between free speech and privacy.